ProZinc is insulin combined with zinc and protamine which helps to prolong the release of the insulin into your cat's body. ProZinc Cat Insulin requires refrigeration and must be kept at refrigerator temperatures at all times. U100 syringes not included. 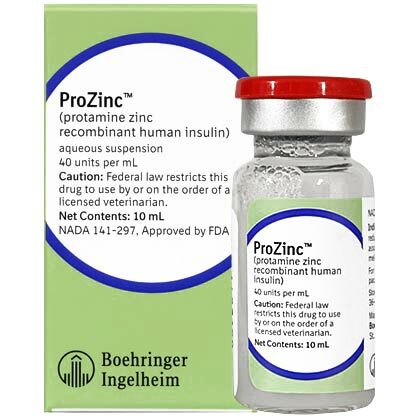 ProZinc is insulin combined with zinc and protamine which helps to prolong the release of the insulin into your cat's body. ProZinc Cat Insulin requires refrigeration and must be kept at refrigerator temperatures at all times.